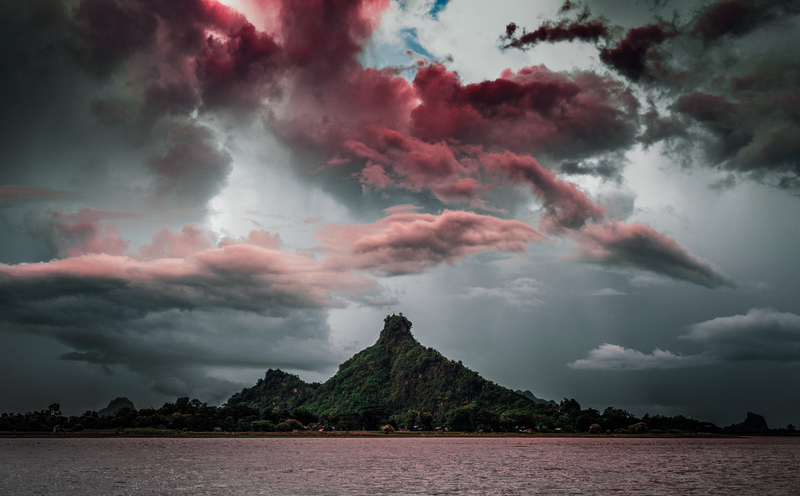 Hpa An in southern Myanmar has the craziest skies. Amazing sunsets and thundering all night long. It’s really hard to capture everything in the sky when it’s almost 360 show going on, but here is a little glimpse moments after sunset. Area is famous for several large caves which have been transformed into Buddhist temples along the centuries. Tip: If you go to Hpa An there is a nice guesthouse called Galaxy Motel which is one of the cheapest but also has very nice location and roof terrace to catch the thundering views of the night.